- PART EXCHANGE AVAILABLE - CALL THE OWNERS NOW FOR THE BEST DEAL, well presented MODERN DETACHED home benefitting from MASTER BEDROOM with EN-SUITE SHOWER ROOM, FAMILY KITCHEN with UTILITY ROOM, CONSERVATORY, WC, SEPARATE LOUNGE and DINING ROOM, FAMILY BATHROOM, 2 FURTHER BEDROOMS, DRIVEWAY, GARAGE and FRONT and REAR GARDENS. 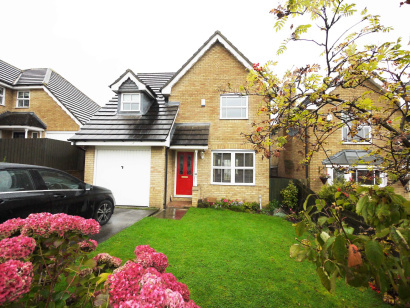 OAKLEAF HOMES are proud to present to market this modern detached home located on this popular development in BRADFORD. The property would make the ideal family home and briefly comprises: Entrance Hall Accessed via a timber and glazed door set under a storm porch. 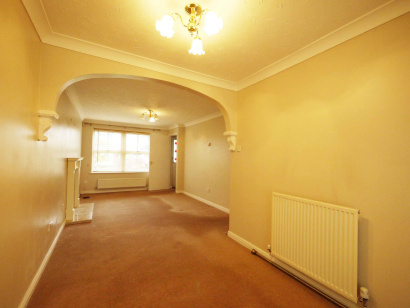 Fitted with carpets to the hall and carpeted stairs leading to the first floor accommodation. 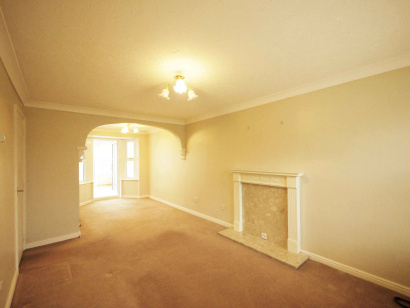 Lounge Front facing reception room comprising UPVC double glazed window, coving to the ceiling, fire surround, carpets laid to the floor and gas central heated radiator. Dining Room Accessed via an open archway from the lounge and benefitting from carpets laid to the floor, coving to the ceiling and gas central heated radiator. 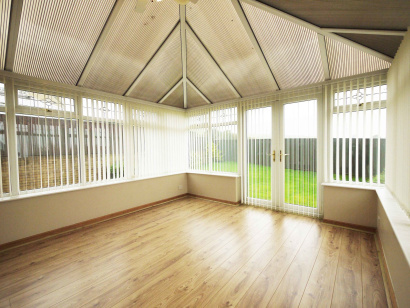 Conservatory	Of UPVC double glazed and brick construction comprising laminate flooring, light fitting and storage heater. Kitchen Fitted kitchen comprising range of wooden wall and base units with complimentary worktop, two UPVC double glazed windows, tiled splashback, under unit lighting, one and a half bowl stainless steel sink unit with mixer tap, electric oven and 4 ring gas hob, concealed extractor unit, spotlights and gas central heated radiator. 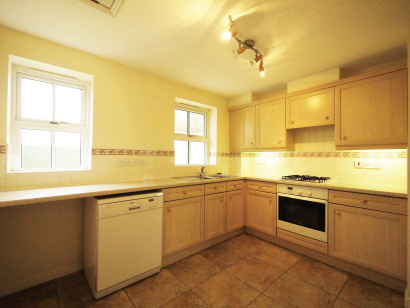 Utility Room Comprising timber and glazed external door, wooden base unit with complimentary worktop, plumbing for automatic washing machine and access to WC. WC Fitted with a 2 piece suite comprising of a wash hand basin and low flush WC, UPVC double glazed window and gas central heated radiator. Master Bedroom Front facing double bedroom fitted with built-in wardrobes, UPVC double glazed window, gas central heated radiator and carpets laid to the floor. En-Suite Shower Room Fitted with a three piece white suite comprising of a shower cubicle with tiled wet walls and glazed screen, a sink in vanity unit and low flush WC, tiled splashback, extractor fan, gas central heated radiator and UPVC double glazed window. Bedroom 2 Further double bedroom comprising carpets laid to the floor, UPVC double glazed window and gas central heated radiator. 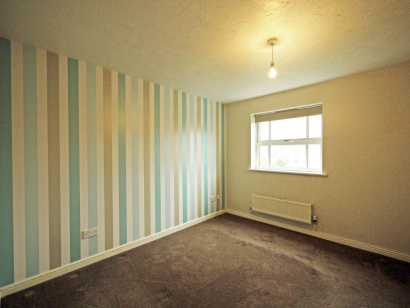 Bedroom 3 Single bedroom comprising carpets laid to the floor, UPVC double glazed window and gas central heated radiator. Bathroom Fitted with a 3 piece white bathroom suite comprising of a panelled bath, low flush WC and wash hand basin, half tiled wet walls, gas central heated radiator, shaver point and UPVC double glazed window. External The property has a driveway at the front leading to an integral single garage and lawns to the front and rear of the property.